It's about time. : More Sleeping Problems, Missed Farewells and Wind Generating Reasoning. More Sleeping Problems, Missed Farewells and Wind Generating Reasoning. Our Location today is at the La Posa South, LTVA, Quartzsite, Arizona. After hearing the nearby Coyotes serenading us last night Kathy took a Tylenol Night-Time Caplet and managed to sleep very soundly until I woke her up this morning. I managed to fall to sleep right away without any problem last night but kept on waking only to stare at the ceiling most of the time then sleeping in this morning. We had planned on going to see our friends George and Suzie, Ken and Shirley as well as Tom and Deb off this morning as they head on down the road but would have only arrived on time to see empty parking spots where they had been. We are sure that we’ll be seeing them somewhere down the road again. After a very lite breakfast and getting caught up on the happenings in Blogland we had a slightly more satisfying lunch by sharing a Chicken Sandwich, along with a bowl Chicken and Rice Soup then topping it off with Strawberry Covered Yogurt for dessert. Trying to use the Water Heater with the constantly shifting Wind Direction every time it blew from the North, Northeast the Propane Detector would start telling us we have a problem. At least we washed the dishes in Luke-Warm Water. We are looking forward to the Southerly Breezes that will be coming later this week. 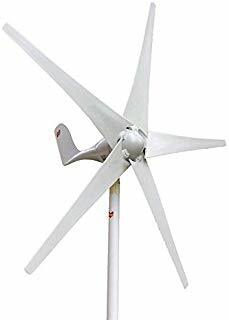 As mentioned the other day I will explain more about our choice of the Wind Generator that we purchased to supplement our Solar Panels and why. 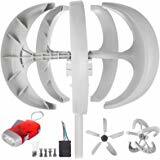 Many RV Parks have restrictions on Antennas as well as Wind Generators that you use with your RV. We are quite certain that Wildwood Golf and RV Park in McGregor would be no different. Do-it-Yourselfers: They don't just blow air. 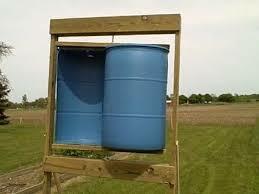 The Wind can create Energy this way. One of the biggest Complaints about Wind Generators is they create a noise that can be heard close up by the ones with fewer Blades. However the more Blades they have the quieter they become like the Pioneer Windmills. A Concern is the Spinning Blades during High Winds, the height of the Mast needed to mount them on and the necessary Guide Cables to stabilize them. Lots of those can be put to rest when you see how some have mounted their Generators directly to their Roofs here in the LTVA. 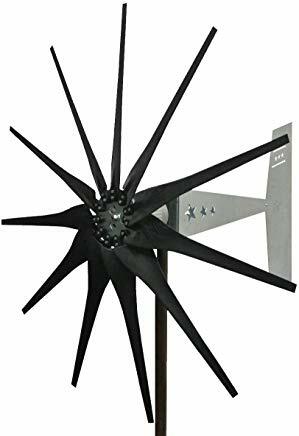 Finding an Eleven Blade 2000 Watt Wind Generator that would have made Tim the Toolman Taylor groaning his approval was easy but not Practical for us. It was Expensive, had a 62.5 Inch Blade Diameter, weighed 59 lbs. and required a heavy Mounting Mast with heavy Guide Cables. It also had an output that was more then Triple our Battery Bank Capacity per hour. This would not have made any friends at our Home Park and with all the surrounding Trees it would have been constantly swinging around to catch the breeze. This RVer mounted his Wind Generator right on his roof. I have mentioned how our Charging System was kept quite simple by keeping everything 12 Volt. We only have Six One Hundred Watt Solar Panels on our roof that are quite capable of charging our Batteries. The Experts say One Hundred Watts of Solar Panels to every One Hundred Amp Hours of Storage you have though we presently have only Four Batteries. The only time they don’t handle the task is when we have Multiple Cloudy Days in a row. By increasing the Battery Bank energy can be better stored until it is needed. When you have Cloudy Days what else do you normally have? Wind! Many nights here in the desert what do you have? Wind! When the Solar Panels can’t charge the Batteries the Wind will. Making Windmills from old barrels or Snowshovels. 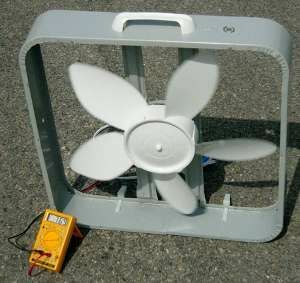 Years ago a factory in Windsor, Ontario was trying to sell Vertical Axis Wind Generators and they mounted a unit to power their Plant in the front yard. The Company folded but that Generator is still powering that Plant today because it requires lower maintenance thanks to there is no Yaw Bearing and Contact Plate. When I looked into Vertical Axis Wind Generators I was surprise to find a Six Hundred Watt unit that weighs 27.2 lbs, is only 23.6 inches High and with 5 Leaves (Blades) installed is only 34 inches in Diameter. They work exceptionally well when used where the Wind could be blocked by a Building or other tall barriers like Mountains or Sails. There are no Guide Cables and it comes with its own Charge Controller. It may only produce a third of the Wattage that the larger unit does but it is also a third of the Cost. By combining both Wind and Solar along with a couple more Batteries we will definitely be happy campers. Tonight's Sunset here at La Posa South. For supper tonight we had Perogies along with a couple of Short Bread Cookies for dessert. Tomorrow we have things to do and it might warm up a bit. Thank you for following along and feel free to leave a comment. You are very creative and your mind never stops. Good on you. 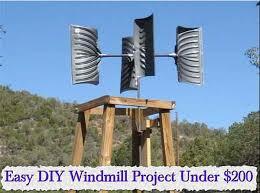 Keep us posted on the wind generator. Interesting to see how it works out. Interesting info. I've seen them attached to the roof, but I'd be afraid of damage. I suppose you could always take it down in high winds. Like the others waiting to see how it works out and some photo's. Good information Rick, looking forward to the end result. Lots of options for wind generation. Good information Rick. Hope it works out well for you. Securely Erecting The Wind Generator.